97 people have viewed this property this week. 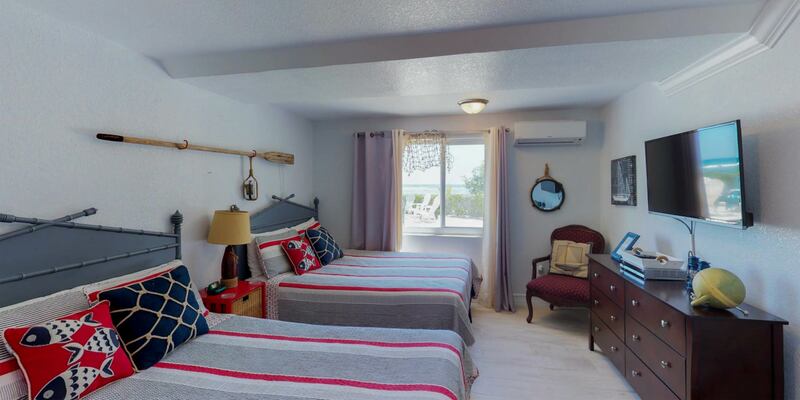 Included with your rental of Southern Ayr is our friendly hospitality staff available to help with light cooking, housekeeping, laundry, turndown service, and babysitting. Please note that while the hospitality staff can help prepare basic meals for your group, they are not professional chefs. A list of professional chefs and cooks for hire can be provided should you wish to reserve one during your stay. 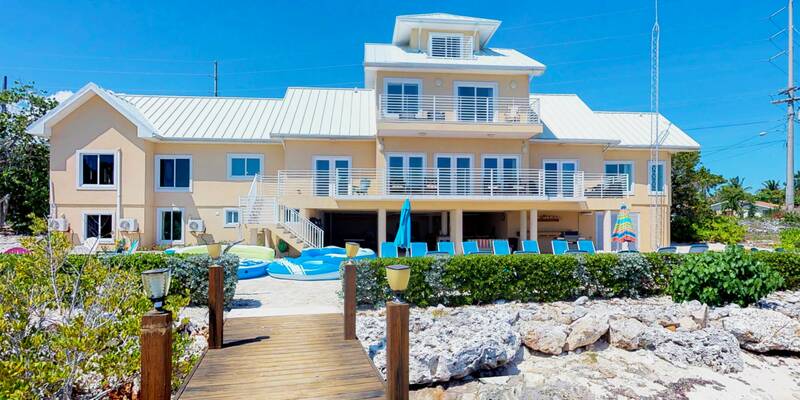 Idyllic days can be spent lounging under the warm Cayman sun in one of the 20 beach loungers this home provides. 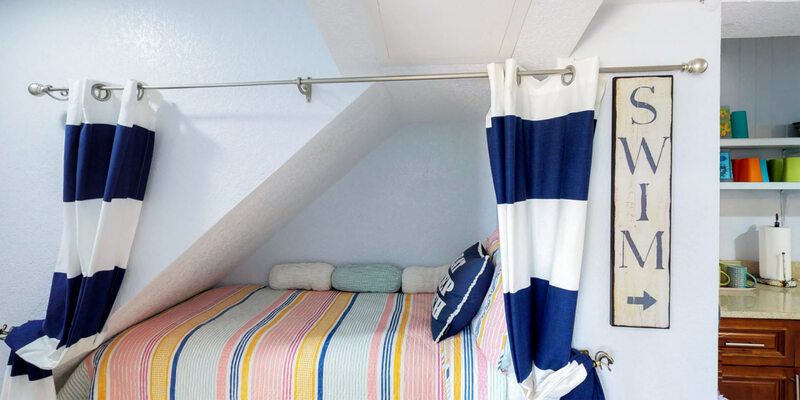 If you’d rather hang in the shade, grab a beach umbrella or take a seat in the game room veranda. 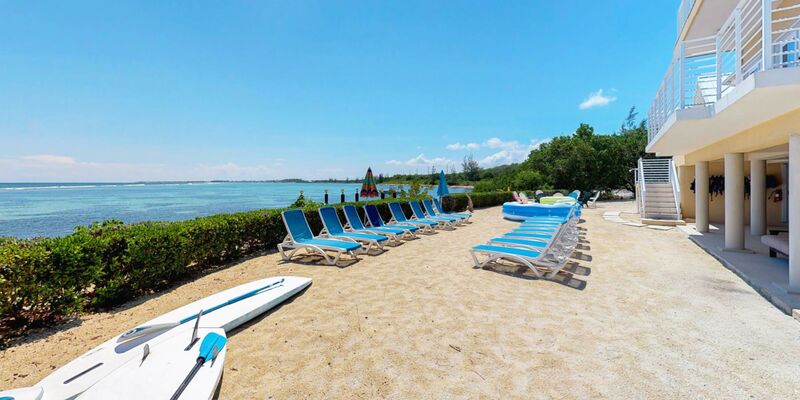 With comfy outdoor furniture and a combination ping pong/pool table, guests can rack up a game of 9-ball, or test their ping pong skills in a friendly tournament. 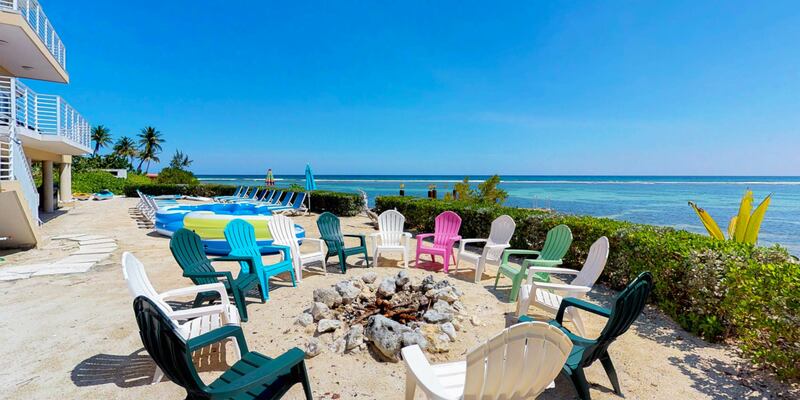 At the end of the day, gather around the fire pit for a beach bonfire. With plenty of Adirondack chairs, everyone in your group can enjoy gooey s'mores around the fire under the stars. Southern Ayr is a four-level home spanning 6,400 sq. ft. with 3 bedrooms on the lower level, 3 bedrooms on the main level, the master suite on the third level, and a loft bedroom on the upper level. 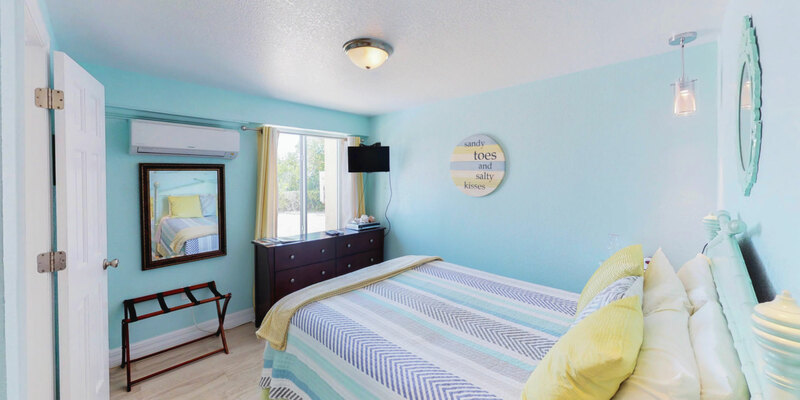 All bedrooms are furnished with a wall mounted flat screen TV. Inflatables shown in photos were destroyed in a storm and not replaced. 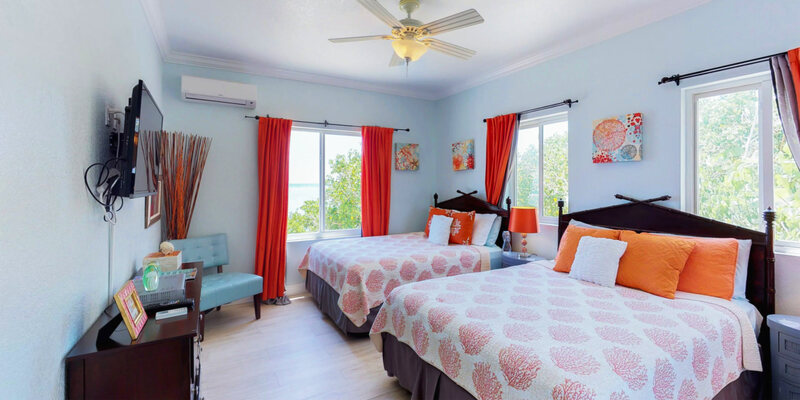 Oceanfront Master Suite: 3rd floor with king bed, flat screen TV, ocean views, private balcony, and ensuite bathroom with tub and separate shower. 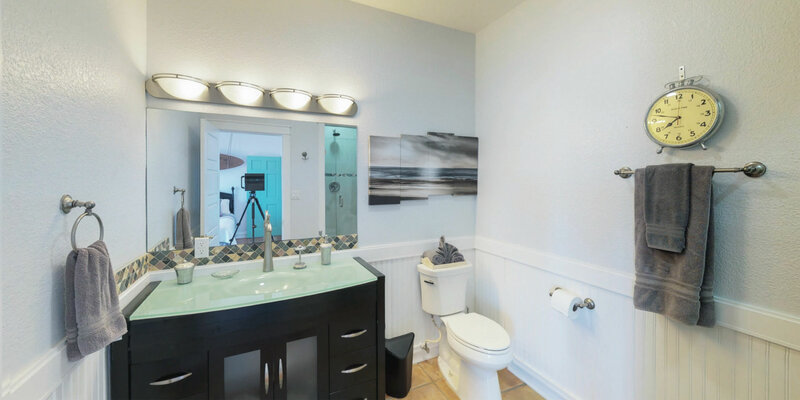 Guest Suite #1: main level with a king bed, ocean views, and ensuite bath with shower. 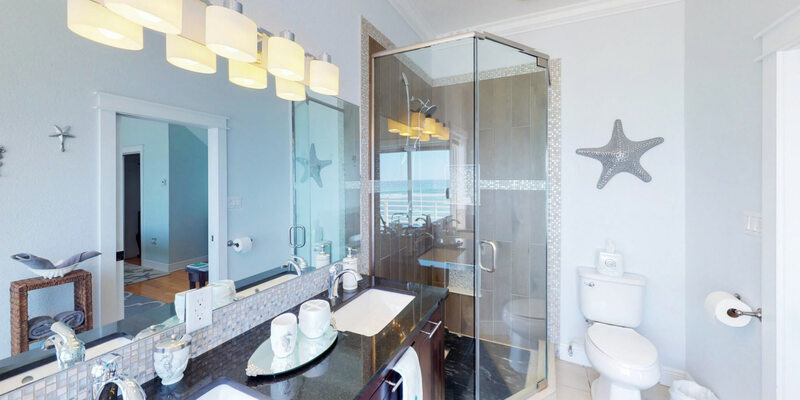 Guest Suite #2: main level bedroom with a queen bed, ocean views, balcony access, and ensuite bathroom with shower. 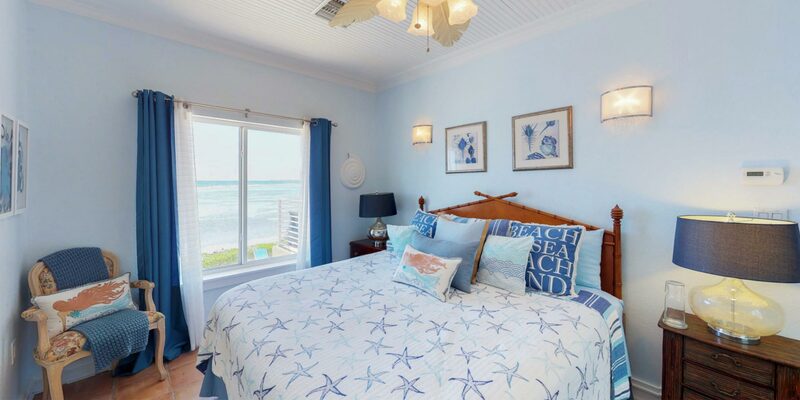 Guest Suite #3: main level bedroom behind kitchen with two queen beds, ocean views, and ensuite bathroom with shower. 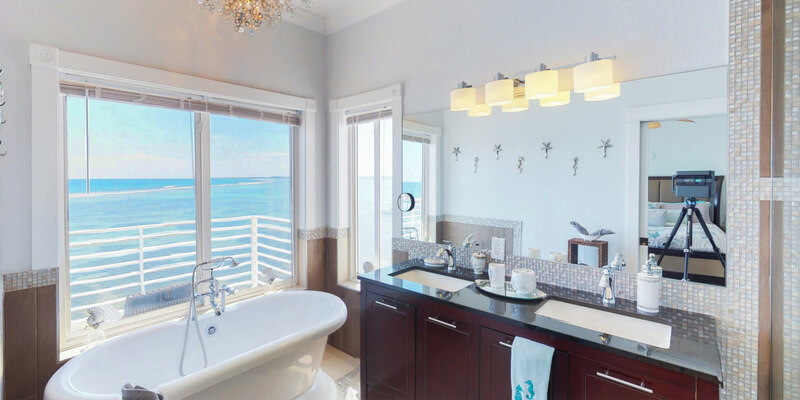 Guest Suite #4: lower level bedroom with two queen beds, ocean views, and ensuite bath with double vanity and shower. 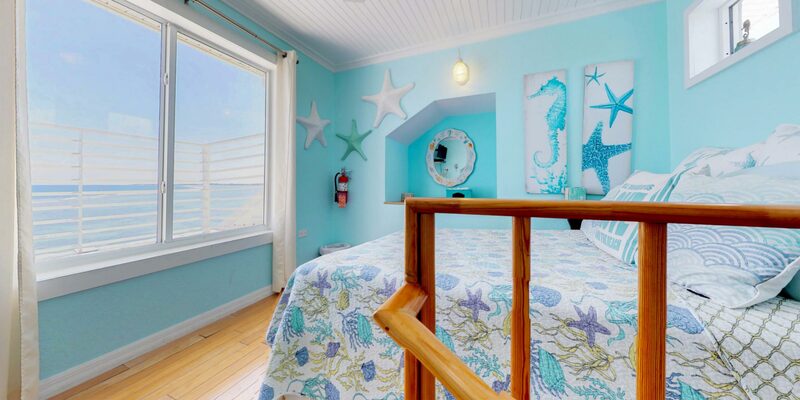 Guest Bedroom #1: lower level bedroom with queen bed, ocean views, and a shared full bath. Guest Bedroom #2: lower level bedroom with queen bed and shared full bath. The main level of the home features an open concept great room encompassing the living and dining areas just off the kitchen. The living area is furnished with plush sofa seating and a wall mounted flat screen TV. 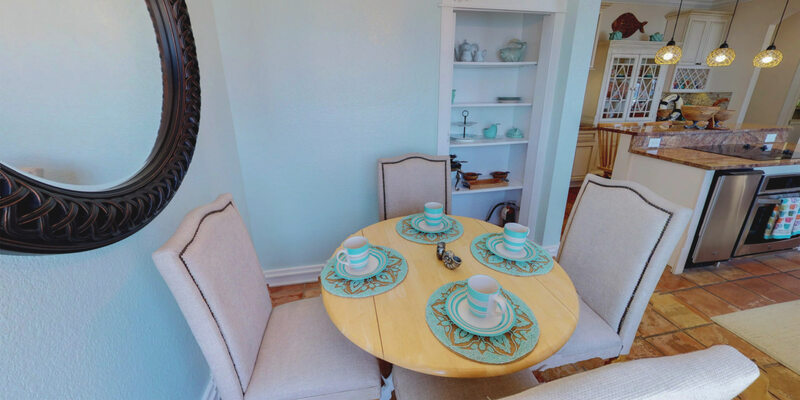 The dining area comes furnished with a large family dinner table with seating for 10. 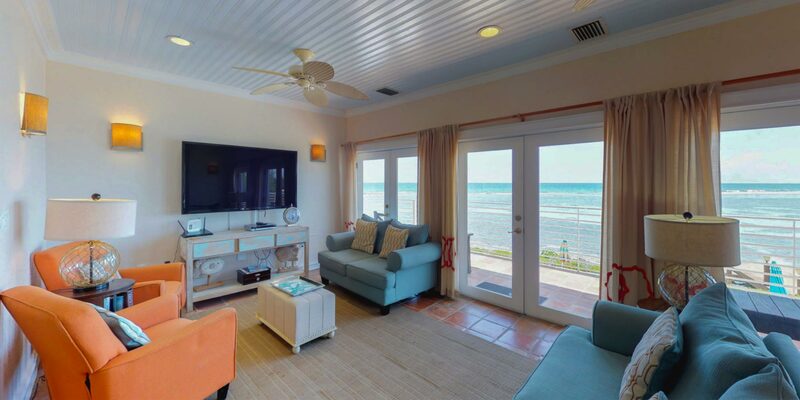 The great room enjoys panoramic views and opens out onto a balcony overlooking the ocean. 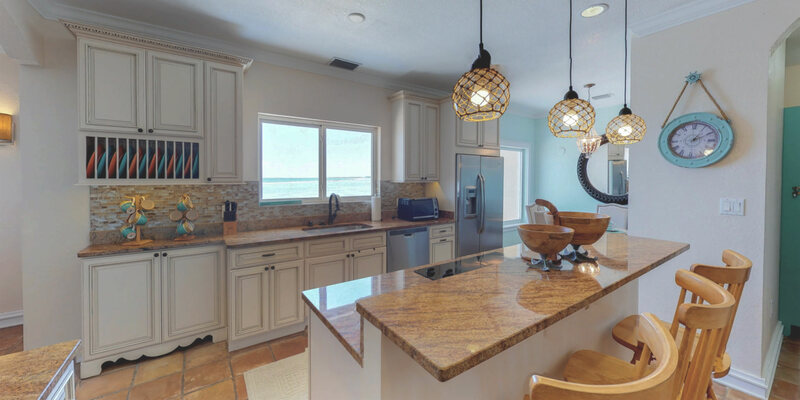 A gourmet kitchen sits off the great room on the main level with modern appliances, an island cooktop and oven, ice maker, wine fridge, and coffee maker. The island countertop can seat three guests while the breakfast nook seats four. 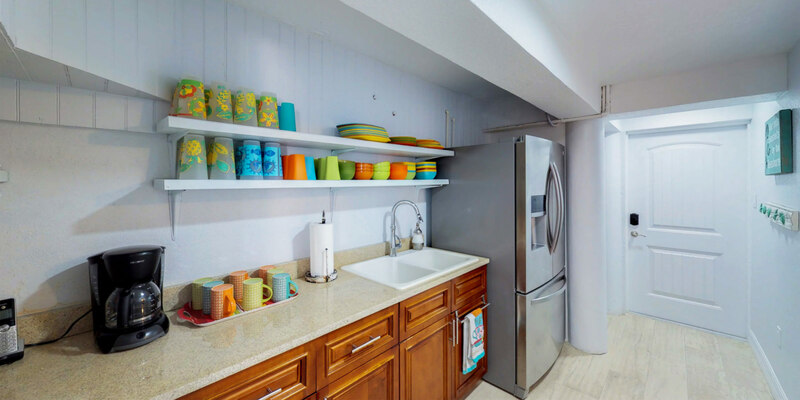 A small kitchenette can be found on the lower level equipped with a sink, refrigerator, and coffee maker. Dishes, glassware, and cutlery all come provided. 20 chaise loungers and 13 Adirondack chairs around the fire pit. 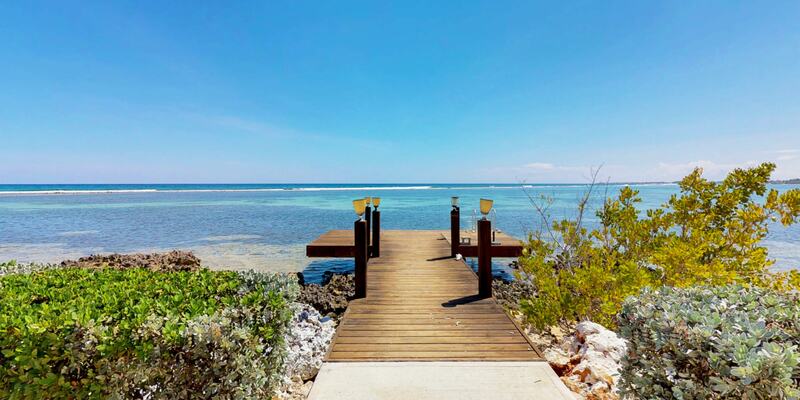 Private dock with water entry ladder—don't forget your pool shoes for foot protection! Shallow water and snorkeling reef just off the backyard. 2 tandem kayaks and 3 stand up paddle boards provided by owner. 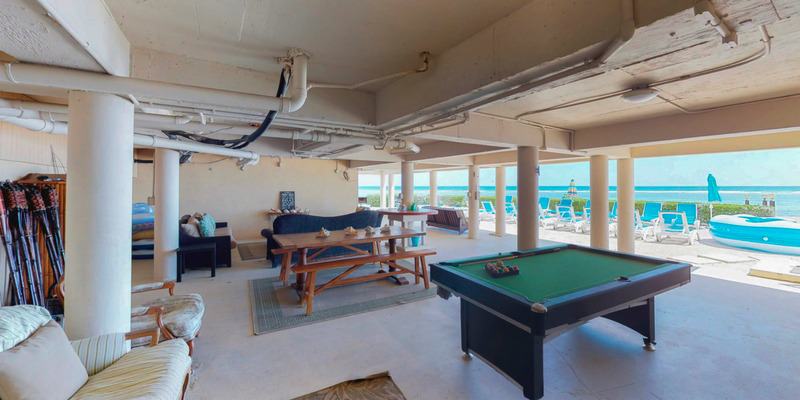 Large game room veranda with a pool/ping-pong table combo, grill for island cookouts, and sofa seating. 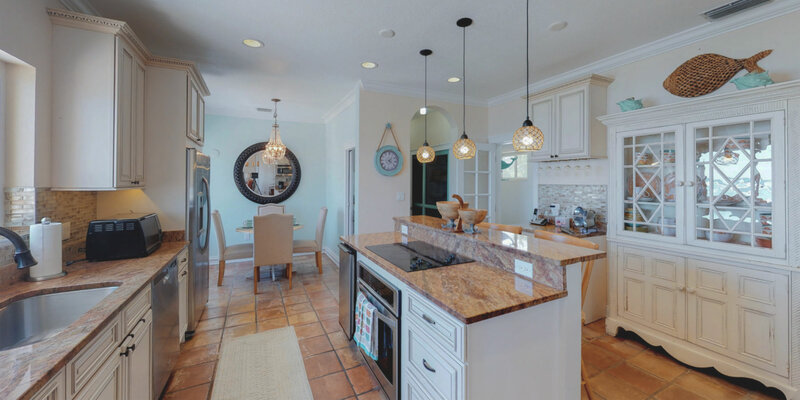 Full gourmet kitchen and guest kitchenette. 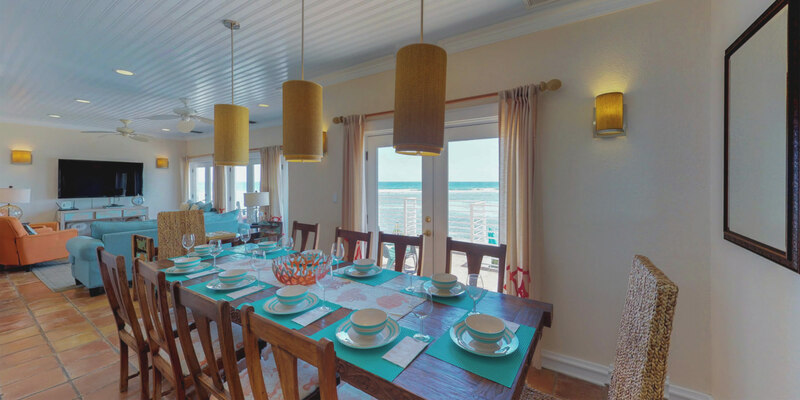 Family dining table with seating for 10 with gorgeous seaside views. Oceanfront balcony on the main level just off the great room. 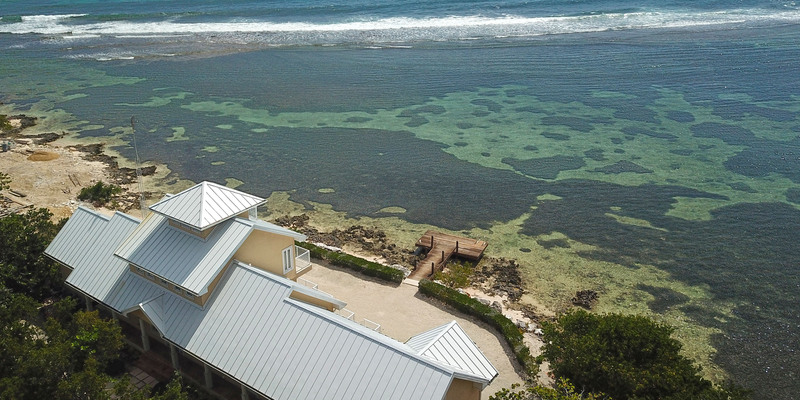 Southern Ayr is conveniently located less than 5 minutes from our Silver Thatch Welcome Center where guests can use our fitness center, check out snorkel gear and other convenience items, or load up on wine and beer next door at Jacques Scott. *Note: Additional Silver Thatch kayaks available for discounted rental. Signed waiver and 5-day minimum required with 6th and 7th day free: US$39 per day per kayak ($195 per week/each). Paddles included. 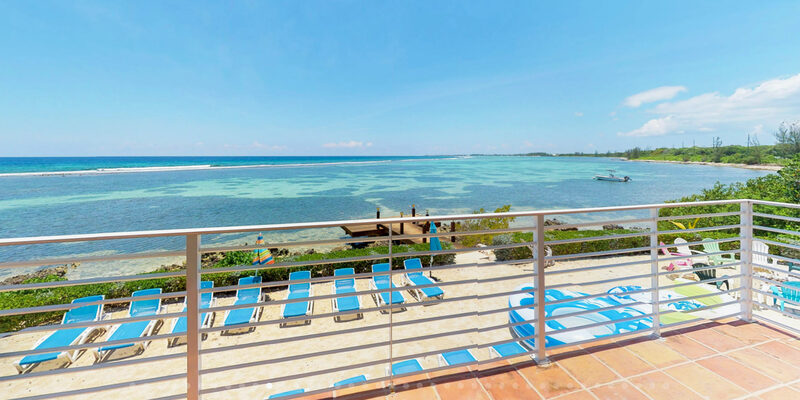 While Grand Cayman is only 22 miles wide, some guests prefer to be closer to Georgetown and Seven Mile Beach for day trips. Southern Ayr is only 20-25 minutes from Georgetown and the more crowded beaches on the west coast of the island. 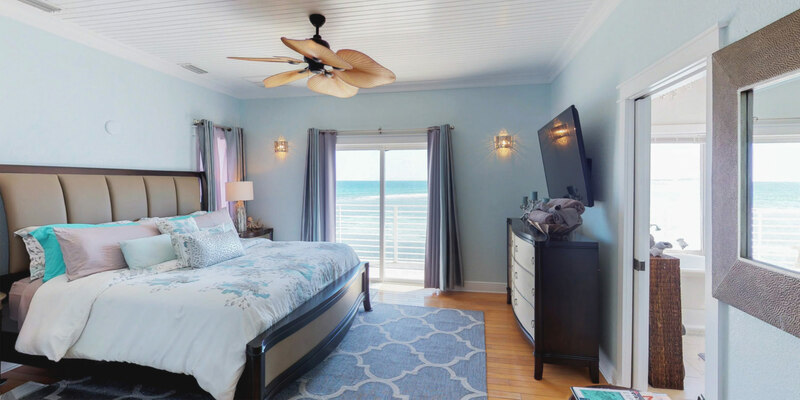 The villa enjoys a sandy beach area, however, guests need to be mindful that this is a marine habitat and wear pool shoes or fins for foot protection. Snorkeling here can be very rewarding. While the protective coral reef is about 300 yards off shore, there are many small coralheads and patches of turtle grass just steps off the beach! Please try not to touch or take any living thing from the water. The terraces and patio face southwest offering serene sunsets as well as watching the illuminated cruise ships depart George Town in the evening, headed for Jamaica or points east. Loved our stay at Southern Ayr! 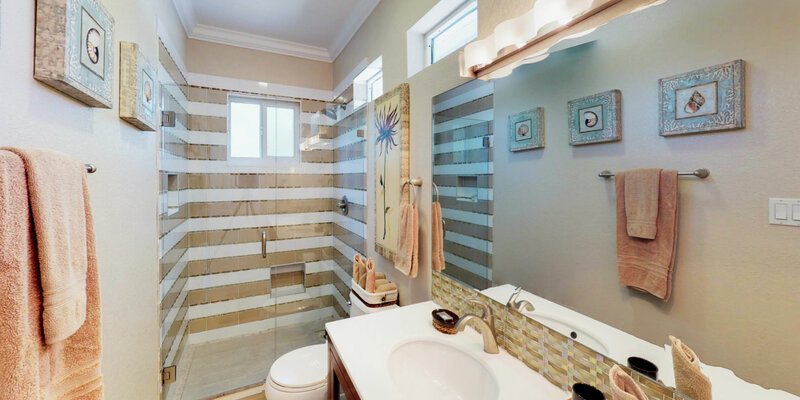 We will definitely be recommending this property to others! We had seven couples and a single- plenty of room for all. The location was fantastic since we wanted something away from the 7 Mile Beach bustle, but not too far. 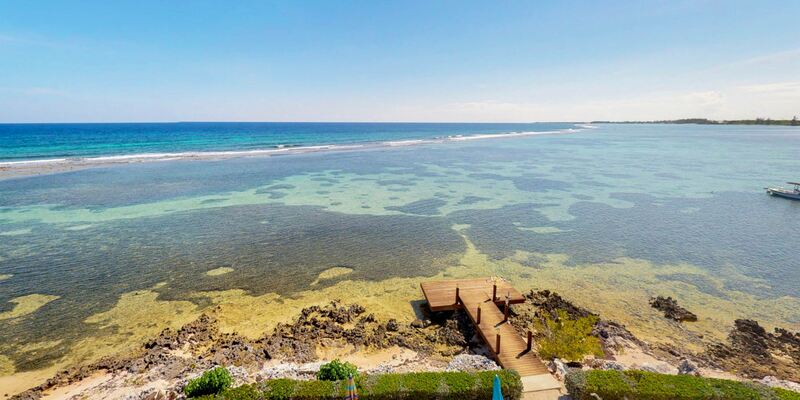 The view from the house is a dream-turquoise water, rolling waves, and great sunsets. Shopping was only a 10 minute drive, and there\'s a couple of restaurants within walking distance. The Lighthouse was EXTRAORDINARY! The housekeeper did a fantastic job of making us feel at home, taking care of the rooms and the kitchen, and even preparing a fantastic island meal for us. 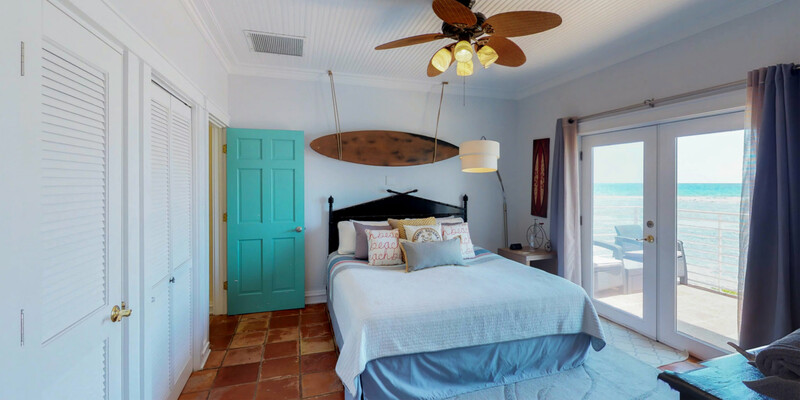 The house has a wonderful shaded area for relaxing, a small living room with fantastic views, two dining tables for meals, games, and conversation, lots of sun chairs, a wonderful dock, and there is a great assortment of water sports toys. The owner is a great communicator and went the extra mile to make our stay enjoyable. *Small Group Rate not available over Thanksgiving, Christmas and New Year's week.